Dumbing Down The Sound: Madonna's Disastrous Effect on Music & Pop Culture: Alizée- Madonna's wannabe? Alizée sang covers of Madonna's songs- La Isla Bonita and Hung Up in 2008. She also copied her look from Like A Virgin CD cover. However who is whose wannabe? Alizee did it in 2008. 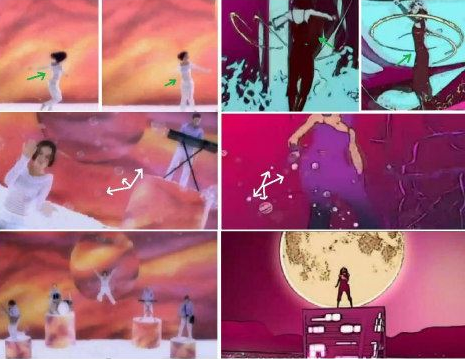 Madonna's reductive video of Get Together from 2006 copies Alizee's "L'Alize" video from 2000. 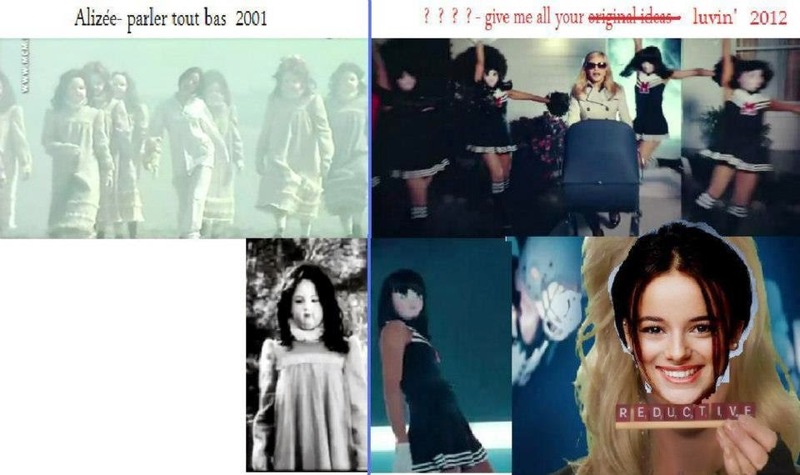 So maybe Alizee discerned she has a wannabe and decided to make a homage for one of her biggest fans- Madonna. Hahaha. Madonna doesn't stop flattering her idol. See the scenes for GMAYL from 2012.